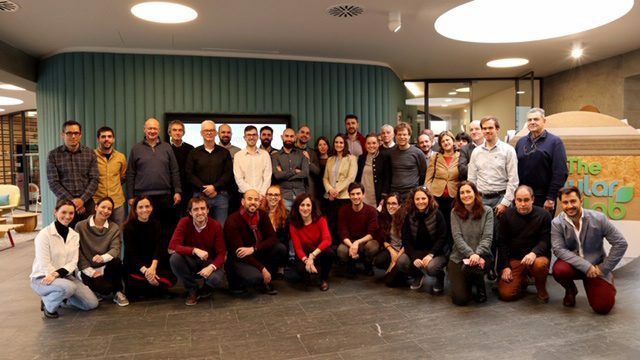 TheCircularLab was tasked with hosting the general meeting of the ‘PlastiCircle’ project, the European initiative involving 20 institutions, represented by 8 countries, which advocates for applying the Circular Economy to plastic packaging. TheCircularLab, the Circular Economy innovation centre at Ecoembes, is accepting applicants for its Circular University Challenge, a new initiative that seeks to recruit university students who can solve challenges involving the development of the circular economy. This new material is obtained from plant waste (such as potatoes or carrots) and can be used to manufacture containers such as bottles or trays for food and beverages. This chatbot, developed by Accenture, uses image, voice and text recognition to answer users’ questions about recycling. The Ecoembes innovation center celebrated the launch of this initiative with a workshop on sustainable packaging and bioplastics, which was attended by representatives from the country’s leading companies and technology centers. An initiative that seeks to empower young talent by posing challenges related to the development and implementation of the circular economy. Carrefour, TheCircularLab and the companies in the TagItSmart project are developing this initiative. TheCircularLab worked with Carrefour and the companies in the TagitSmart project on today’s launch of the Reciclaya application in the Logroño hypermarket and in Carrefour Market in this same city (Av/ de la Rioja 14). The project, which ran between December 2017 and June of this year, brought recycling closer to the region’s elderly through activities, workshops and inter-generational initiatives and will now be expanded to other regions of Spain in an effort to raise awareness about recycling and environmental protection to as many senior citizens as possible.